I knew nothing about this book before I spotted it in a book store and the cover caught my eye. 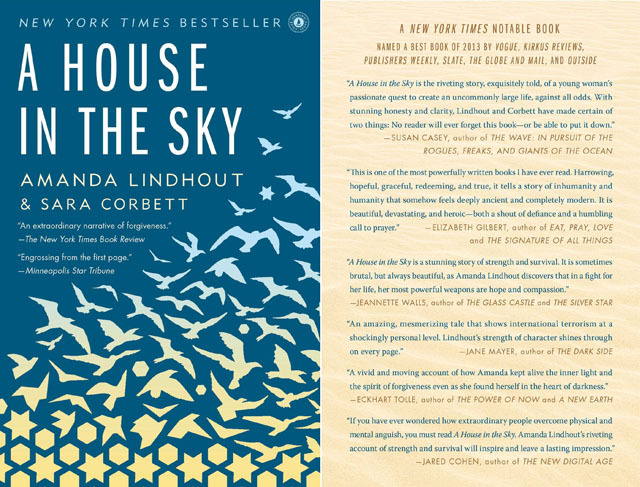 A House in the Sky is a memoir by Amanda Lindhout. In this memoir, Amanda recounts the 460 days she spent in captivity and the circumstances leading to her capture. She loved traveling the world, and would spend months saving money, and then months traveling. She found occasional work as an amateur photo journalist. 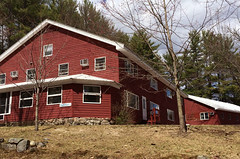 During one of her trips, she was kidnapped by a group of religious extremists, along with Nigel Brennan. This is not an easy book to read. As a woman kept in captivity by terrorists, she endures horrible torture and tragedy. Her story speaks of the resiliency of people in extreme situations, but it also makes one think about the circumstances that lead people to such violent action. Amanda's capture happens in Somalia, then considered the "most dangerous country on earth." Despite everything her captors put her through, in the end Amanda speaks of them with a certain amount of sympathy and understanding. Ultimately, this book is a harsh reminder of how varied life is around the world, and the degrees of suffering some people experience. It is brutal and graphic, but very educational. Nigel Brennan and his sister wrote their own account of his captivity in The Price of Life, which I haven't read. Have you read A house in the Sky? I haven't had a chance to discuss it with anyone else yet, so I'd love to hear your thoughts. It might still be 90 degrees outside, but there's a sneaking chill in the early morning. Before we know it, the weather will be perfect for wearing all those hand-knits. As a friend of mine likes to say, "Winter is coming, knit faster." 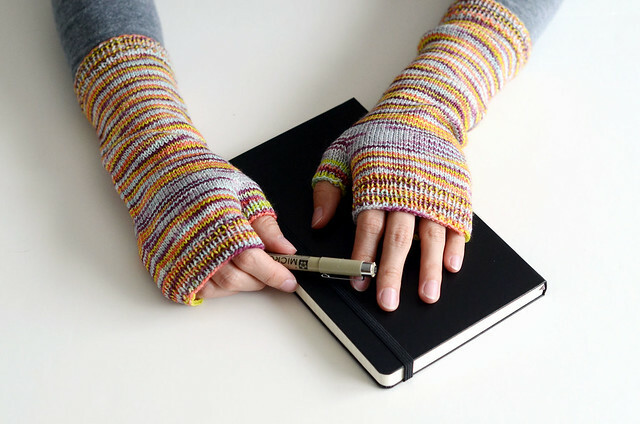 My newest pattern is a simple set of fingerless mitts, a perfect one skein project for a skein of variegated sock yarn. 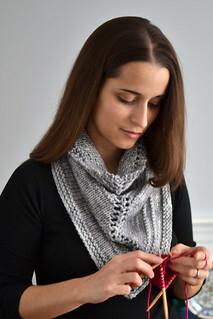 As a nod to the All Souls Trilogy, which I really enjoyed, this pattern is named after the Bodleian Library. After all, they are perfect for curling up with a good book and warm drink. The Bodleian Mitts pattern is available on Ravelry, and the sample mitts are knit in Toil & Trouble Classic in Fairy Queen Jubilee. With the Greater Boston Yarn Crawl less than two weeks away, I am busily working on some new goodies. Here is a sneak peek of some gradient cakes. 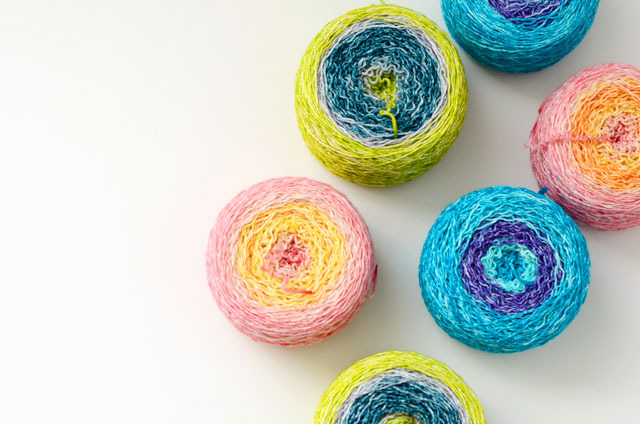 They can be knitted from the inside and outside for matching socks, or knit continuously for fraternal socks. 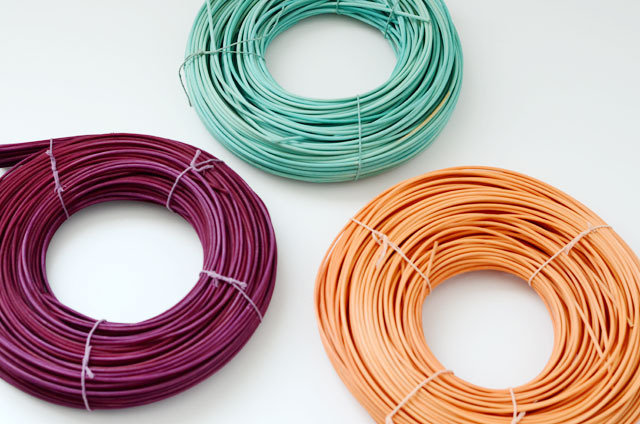 And the rattan dyeing experiment continues. I can't wait for this weekend's basket weaving class! Just like that, September is here! September always comes with a rush of activity. In less than two weeks, Harriet Goodall, an amazing Australian basket weaver will be here in Salem, teaching at Circle of Stitches. 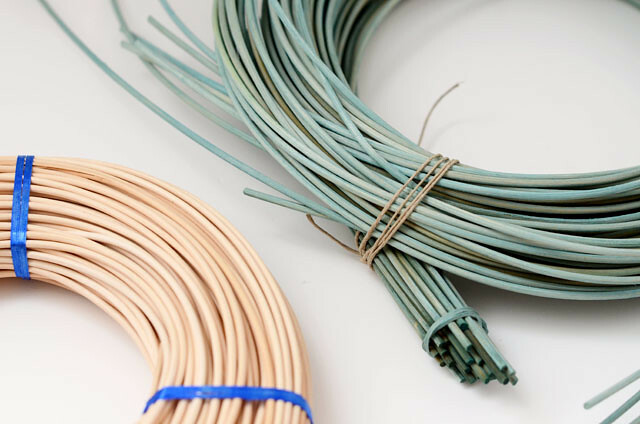 To help prep for her class, I am trying my hand at dyeing rattan, or vine cane. My first try was this soft sea green color. It's very different from dyeing wool! 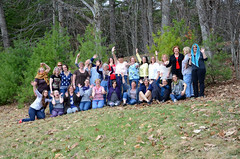 The week after Harriet's class is the Greater Boston Yarn Crawl! 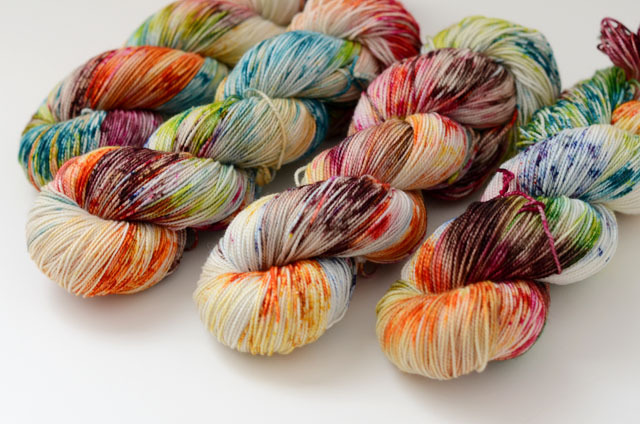 I'll be hosting a trunk show at Mind's Eye Yarns in Cambridge on Saturday, September 19th. 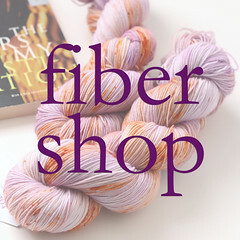 I am busily dyeing some favorites and working on new colorways, so I hope you'll come visit!